Just when you think I am done with dishcloths, I knitted a few more. My husband asked me to knit a set for his mother for her birthday. 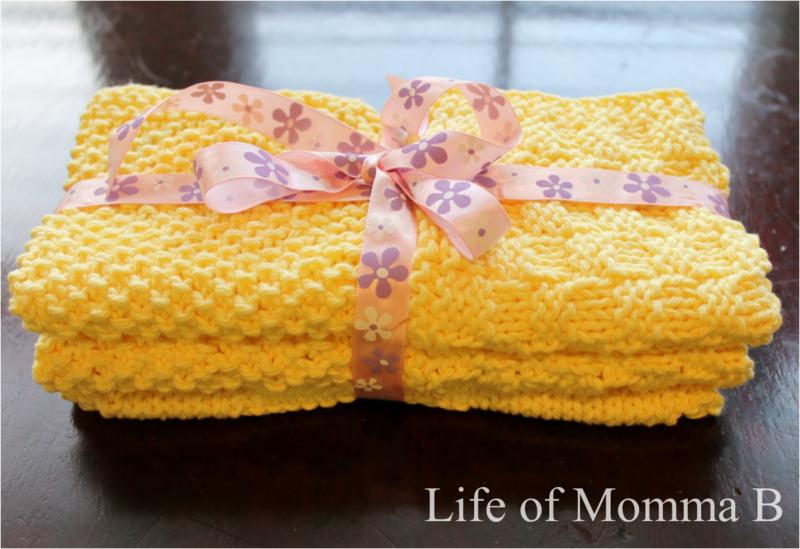 For my mother-in-law I started with a size 6 needle and some sunny yellow Sugar and Cream cotton yarn. I whipped up 5 dishcloths. 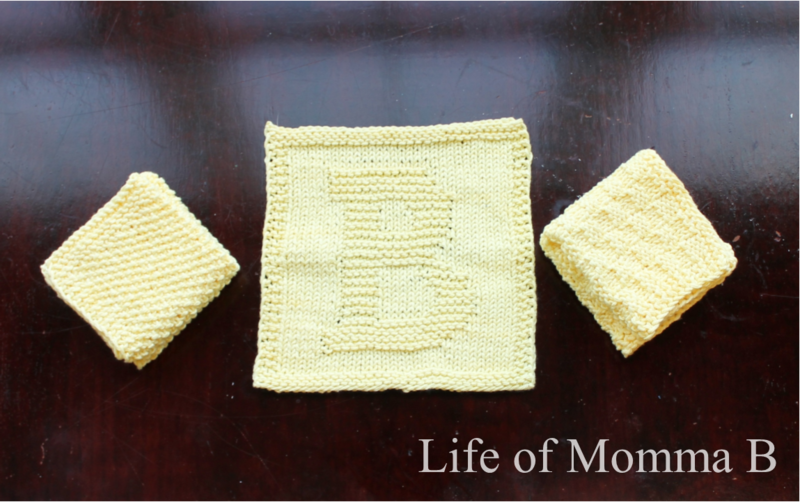 From left to right I knitted 2 seed stitch dishcloths, a letter B dishcloth, and 2 basketweave dishcloths. All of these I have used before, however I did change the edging on them. I found that if you slip the first stitch on each row instead of knitting it you get a nice smooth edge. If you are looking for the original patterns you can find them here (seed stitch, Letter B, and Basketweave). But if you want them to turn out like these, the patterns are below. Just for the record, this was not the only items we sent her for her birthday, just part of her birthday gift. And yes, I know the last pattern makes a bigger dishcloth, but the difference in size is minimal and 36 is evenly divided. This entry was posted in Knitting and tagged dishcloths, free pattern, gift. Bookmark the permalink.